Celebrating the historic rivalry between the New York Yankees and Brooklyn Dodgers. In the 40s and 50s, New York was baseball's epicenter, host of the great rivalry between the New York Yankees and Brooklyn Dodgers. 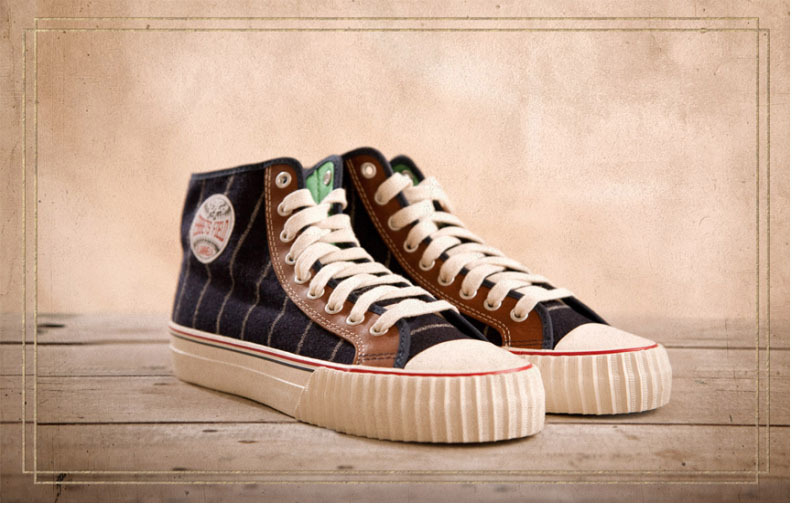 Celebrating this rich history, PF Flyers has linked up with Ebbets Field Flannels to create a capsule collection made up of two PF Center Hi colorways and American-made Ebbets Field Flannels caps. 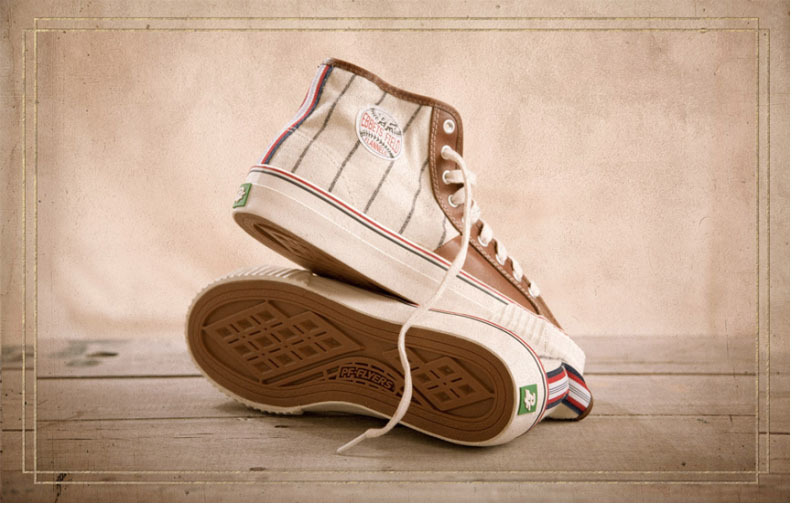 The archival Center Hi is outfitted with Ebbets Field's classic pinstriped flannel uppers, rich glove leather, vintage contrast stitching and green satin lining. Navy and Off-White colorways are available, each accessorized by brown waxed and classic cotton laces. The shoes are packaged in custom boxes. 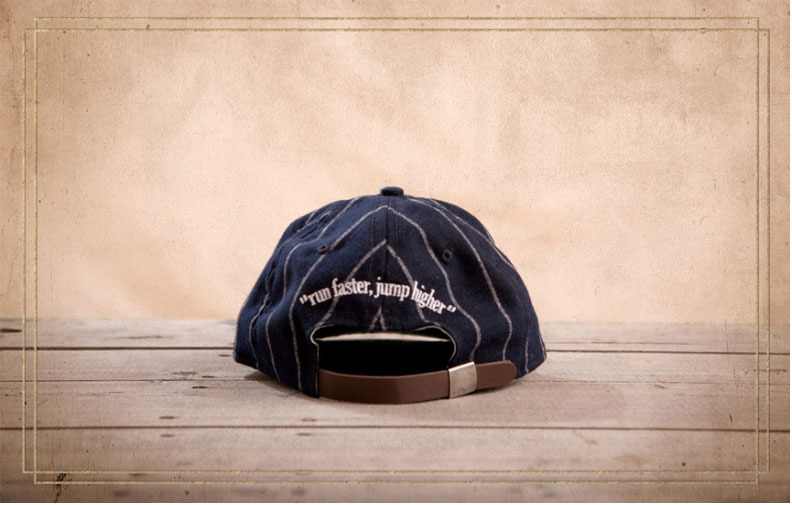 Classic Ebbets Field 6-panel premium wool caps will be available in royal blue and navy with white pinstripes. 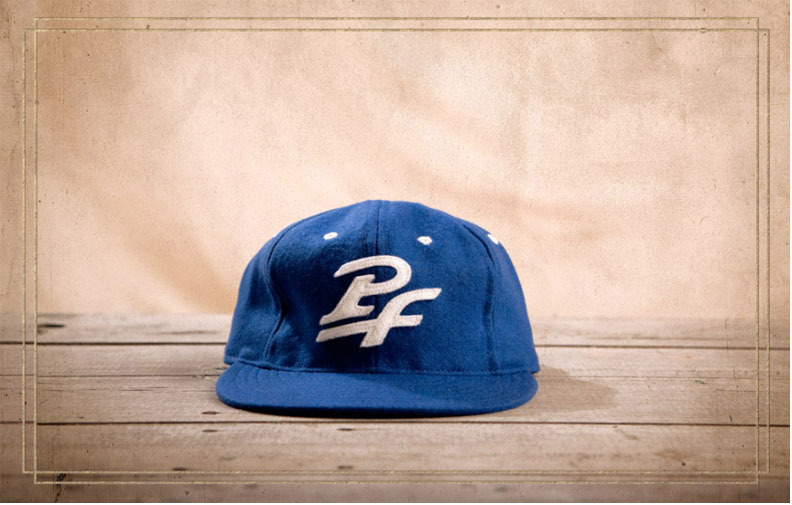 Each cap is adorned by a felt PF logo on the front, while the brand's original promise to make you "run fast, jump higher" is embroidered on the back. The collection launches November 1 at pfflyers.com.